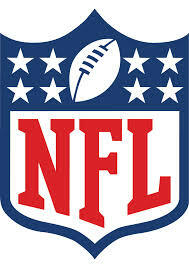 Today, I will preview the AFC and NFC North, the former being the best division in the NFL. Analysis: This division, as the case in the previous four or five seasons, is going to be entertaining as hell. There are three teams that one could easily make a case for not only winning this division, but for possibly unseating the defending champion Patriots in the AFC. However, I think those damn Ravens are the best team in this division for one reason: they have the fewest question marks. They still have a very good QB in Joe Flacco. Their defensive is the most dominant in the division, even without the presence of Haloti Ngata. The only question is who in the hell will Flacco throw the ball to other than stud WR (and future Hall of Famer) Steve Smith, Sr.
As for the Bengals and my Steelers, those two could make life hell for the Ravens as well. Even though the Steelers have the best offense in the division (and one of the best in the league), their defense cannot stop a nosebleed. Hell, I and 10 random dudes from Cincinnati’s West End could hang 30 points on Pittsburgh. The Bengals are the most talented team in the division, but those cats need a heart transplant. They have lost four straight playoff games, and if they come up short again this season, head coach Marvin Lewis should be fired. By the way, until the Browns get a QB that is worth a damn, I will not say much about those fools. Period. Analysis: This division is Green Bay’s domain. Until stud QB – and that “baaaaaaad man” – Aaron “A-aron” Rodgers gets hurt or retires and goes away, the Vikings and Lions do not stand a chance of winning this division. The good news for the Vikes is that the future is bright with second-year QB Teddy Bridgewater and coach Mike Zimmer. Couple that with the presence of stud RB Adrian Peterson, the Vikes will be a factor in the NFC wildcard race. The Lions’ window is closing quickly. It’s too bad because we may never see a lot of stud WR Calvin Johnson on the field in January for the rest of his career. Someone please give QB Matthew Stafford and co. a running game so that we will see that.